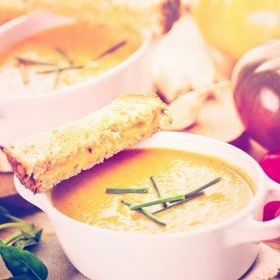 Soup is a wonderful meal to serve as a starter, a light or not-so-light lunch and for any supper. Tomatoes lend themselves to soup and are used as an ingredient in almost all soups to give color, to add flavor and zest. Tomato soup was fashionable in the sixties and then it was canned – literally – and nothing tastes worse than a can of tomato soup. 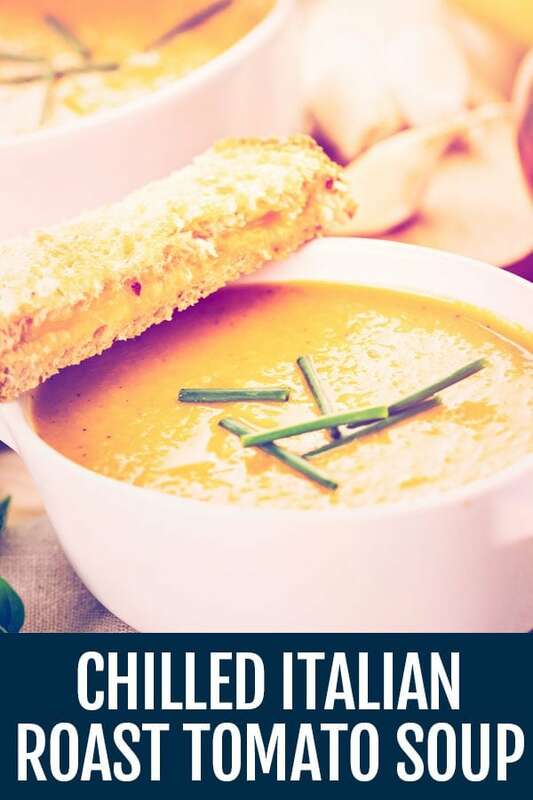 Because it’s seen so seldom on menus these days, we selected three really different interpretations of the classic tomato soup – they are all simple, don’t take up too much time and are fun to make, so pick up a few tomatoes from your local green-grocer ….. This tomato soup is one of the best I have ever tried. Place the tomatoes cut side up in a baking tray, add the whole garlic cloves and season well, sprinkle with the sugar and drizzle over the olive oil. Roast for about 45 minutes, until the tomatoes are lightly browned and beginning to ooze juice and then remove the tray from the oven and allow to cool for a few minutes. Pick out the roasted garlic cloves and squeeze the soft flesh out of the husks onto a saucer. Place all the tomatoes and the squeezed out garlic pulp in a blender with all the juices from the roasting tray. Blend very well until the tomatoes are velvety smooth, add a little vegetable stock if the soup feels to thick and then check and correct the seasoning but remember the flavour will alter once it’s chilled so you’ll have to check again. Pour into a bowl and chill for about 5 hours, at least. Make the pesto in a pestle and mortar by combining the the basil, the garlic and the pine nuts, until you have a fine grained pulp and stir this into the olive oil – it has to be quite runny. Leave it to stand for a few hours will remove the sharpness of the garlic. 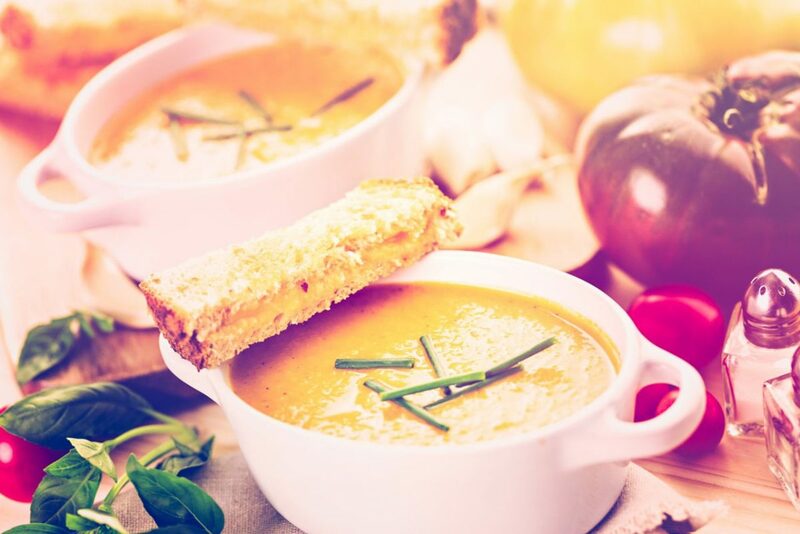 Serve the soup with a quarter of lightly roasted tomato and some pesto drizzled over each serving.